Welcome all Paulines and visitors! We hope you find helpful this site which is created to share the good news of the Pauline mission with others. If you are a visitor to our site but not a Pauline, we invite you to learn more about the Pauline way of following Jesus Christ. Our founder believed that genuine prayer spills forth into the ecstasy of activity in service to God and one's neighbor. Just as the apostles and disciples, after retreating for a time in prayer, could not restrain the power and presence of the Spirit they received in prayer, so too, we must pray in such a way that holy activity bursts forth from us. For the Pauline, this is the highest form of prayer (Fr. Don Forlai, IJP). Following in the footsteps of St. Paul, we take Jesus Christ as our Divine Master and Teacher. He is our Way, our Truth and our Life. What does this mean? For us, He is a lifestyle of charity; He is transformative study for the mind and soul; He is the will power that animates our daily labors. He is what He said He is: "the Way, the Truth and the Life" (Gospel of John 14:16). In imitation of Jesus, we take as our own tender Mother, Mary, Queen of Apostles. We take as brothers and sisters all who hold and teach the Catholic faith, all who follow the Way of Jesus, all who do not know Him as Lord, all the sick, suffering and dying, all the poor in body, mind, soul or spirit, all who do not believe, all choosing eternal perdition, all the souls in purgatory, and all the saints and angels in heaven. Together as fellow wayfarers on the journey through this life, we seek to become the community of love God came to establish. Paulines offer their lives in reparation and prayer together with the angels and saints for the spiritual needs of all people. We consecrate ourselves to this work and to this way of life by vows of poverty, chastity and obedience according to the statutes of Pauline consecrated life for the unique vocation to which each of us is called as married, single, religious, or priestly members. 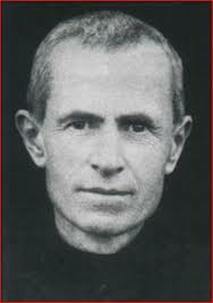 There are 10 branches of the Pauline family founded by Blessed James Alberione. We welcome members from all walks of life in accordance with the vision of Bl. Alberione who conceived of an international family of specially consecrated Christians pursuing lives of holiness and fruitfulness as both lay and ordained members of one Body. To join with us in prayer, visit the Daily Prayers page. To make a prayer request or adopt the prayer requests of others, visit our online forum by clicking here. To explore a vocation to one of the 10 states of Consecrated membership in the Pauline Family, click here to learn more or visit our "Society" page. Email inquiries to: paulinecommunityofstjoseph@gmail.com. For more information about the Pauline charism, visit Fr. Jeffrey's blog. May the blessings of Jesus, Divine Master, Mary, Queen of Apostles, St. Joseph, Patron of the Universal Church, St. Paul the Apostle, Blessed James Alberione, Blessed Timothy Giaccardo, and all the Pauline members in heaven and on earth be yours. Our Lady Queen of Apostles Chapel - Help us build it! The Queen of Apostles Chapel is to be an oasis of prayer and peace . 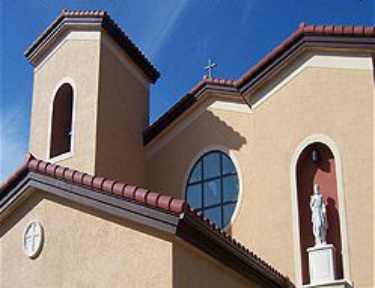 . .
To donate to the Chapel Fund of Our Lady, Queen of Apostles, click here. For Catholic news and resources, click here.